For all of your accommodation needs, training courses, house parties and functions - large and small. Quantock Lodge can accommodate you. Just telephone 01278 732252 and we will be happy to help. 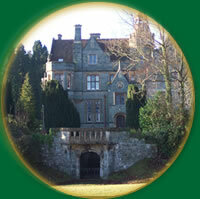 A Gracious, Historic, Victorian Mansion in secluded peaceful surroundings. Set in a delightful secluded position in its own extensive estate, Quantock Lodge provides the ideal venue for a wide variety of functions, meetings, training courses and houseparties. In the main house, the Italian Suite offers the large inter-connecting reception rooms. These stunning rooms with their large brass chandeliers, decorative plasterwork ceilings and woodwork, look out on to the formal gardens and parkland beyond. 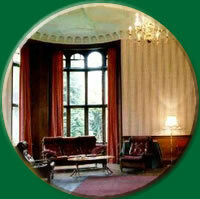 Room settings can be arranged to suit the special needs of your group. A warm welcome awaits you, amid these tranquil surroundings, a place to escape the pressures of modern living. Our aim is to provide you with a unique and memorable occasion. 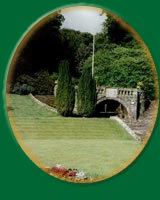 An excellent range of modern accommodation supports the main house and sporting facilities. We can comfortably cater for us to 130 residents and more as non- residents.